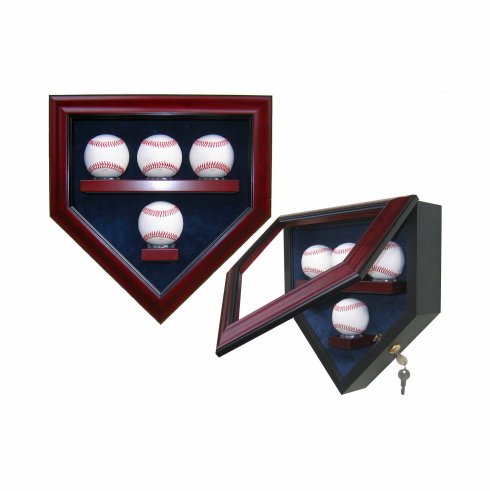 Premier Home Plate Shaped 4 Baseball Display Case proudly handcrafted in the USA. This 4 Baseball Display Case measures appx. 13.5" wide x 14" tall and features an easy opening door with a lock to keep your collection safe.